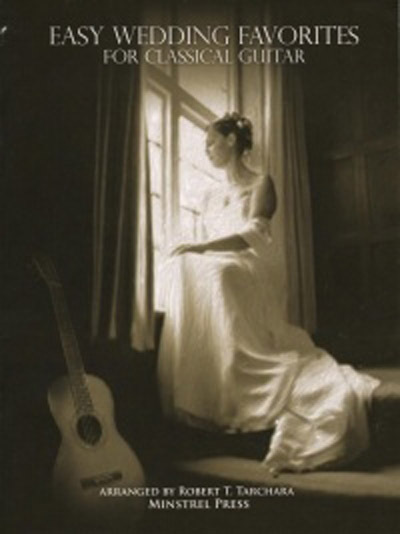 Easy Wedding Favorites for Classical Guitar is a fantastic assortment of classical titles arranged for Fingerstyle Guitar. Every piece is written in both standard and tablature notation by Robert Tarchara in a classic style that exudes the intended beauty and elegance of any matrimonial ceremony. Titles inc, Romanza, Wedding March, Bridal Chorus, Canon in D, Wedding Day, Trumpet Voluntary, Spring from "The Fours Seasons", Ode to Joy, Sleepers Awake, Jesu,Joy of Man's Desiring, Gymnopedie, Air from Water Music, Trumpet Tune, and Two Minuets.